Latest News | Satanic Prayer Line | Satanic Store | Join Us! | Sell Your Soul! | Become a Priest! Thanks for visiting our web-site! Here you'll find everything you need to get started sharing the Dark Gospel and making the world a more wicked and unholy place! 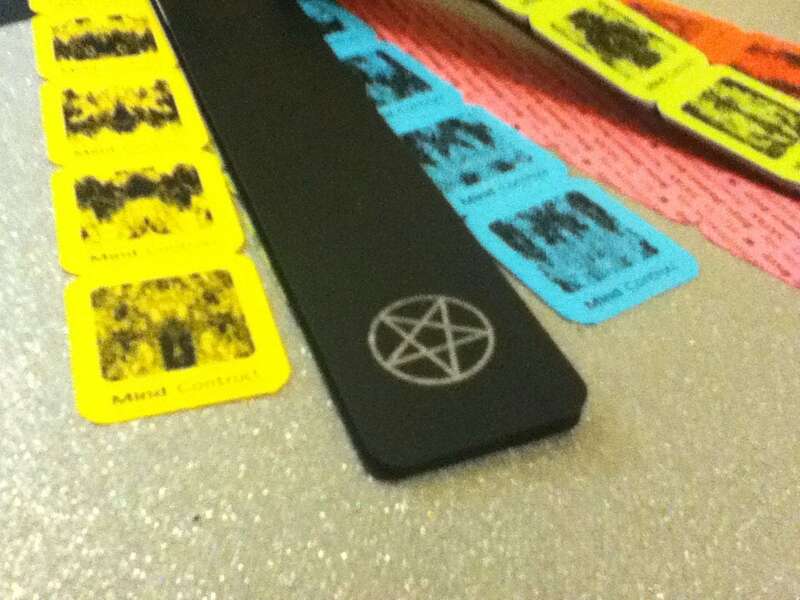 We can help you sell your soul to the Devil, or we can just give you a little personalized advice, or you can get your filthy hands on some of our Satanic witnessing accessories!. 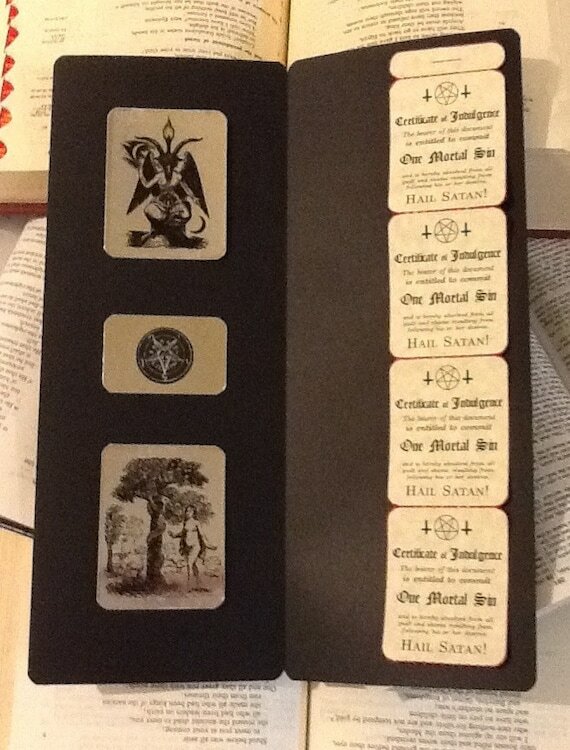 Or you can just read more about us, and our Five Satanic Virtues. We're here to do whatever it takes to tempt you away from righteousness! Get in touch with us to help or to find out more! Hail Satan! Maybe you're not ready to fully commit to Satan, but you'd like to hear a Satanic perspective on just what you should do in your current situation. We get an unmanageable number of calls to our Satanic Hotline asking for advice on all kinds of topics, and even with the Forces of Darkness on our side, we're still only able to respond to the select few of them that we personally find worth our time. So why not make your call matter to us? Now you can! We're pleased to be able to offer Genuine Satanic Advice for the unbelievably low rate of $666 per paragraph! Give it a try! Let yourself be just a little wicked! Perhaps you're just looking for permission to do a little more sinning that you're used to. We're here to help! We sell indulgences for the incredibly low price of only $666 for EIGHT MORTAL SINS! That means you can commit all seven deadly sins and still have one indulgence left over for a rainy day! Supplies are limited, so ORDER NOW! No Satanic organization would be complete if it did not provide Mind Control services. To get started, just pick up a few of our exclusive Mind Control Tickets! It goes without saying that supplies are extremely limited. A book of 30 tickets can be yours! 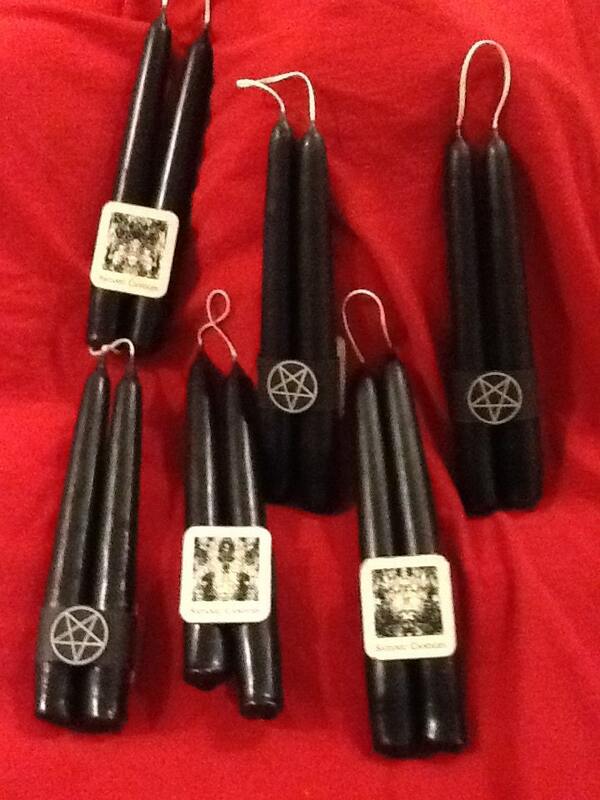 The Satanic Missionary Society was founded on February 14, 2012 to make the world a more Infernal place, and to cater to Satanists who enjoy proselytizing. We are followers of Satan devoted to sharing our message and way of Satan with all people. We follow the Dark Lord by embracing and living the Five Satanic Virtues. We are Selfish, Lazy, Insolent, Lustful, and Vain. We are not elitist, and believe anyone can learn to walk with Satan and live a better life as a result. We see no conflict between sharing the hell-fire of Satan, and living our Satanic Virtue of Selfishness. Like any fire, it burns better and brighter as it spreads. We enjoy corrupting those around us, and do not believe any follower of Satan should deny herself this pleasure on principle. You can begin your walk with the Devil at any time. Just look into your heart and listen to temptation. There is no outside source of authority, no Satanic Holy Book you must follow. Satan is in your heart, always there with you, a constant companion and friend. All you have to do is listen. All you have to do is start doing what you feel like doing. If you’re having trouble hearing the Devil’s voice within you, we suggest meditating on the Five Satanic Virtues as a good place to start. Have faith in Satan and he will come to you to tempt you. Have faith in Satan, in your temptations, in your carnal desires, and you will feel better almost immediately. Satan is there, just waiting for you to listen and follow. Satan is you, what you want for yourself. To be selfish is to ask “What’s in it for me?” Satan rejects sacrifice and martyrdom. The greater good cannot be built on self-inflicted misery. Selfless sacrifice puts us all under the pressing shadow of death. We reject sacrifice and promote selfish indulgence. To be lazy is to refuse to do what isn’t working, to stop, to do nothing until we have a better idea, to try something else. When we feel like doing something, we will. If we work too hard, we won’t stop to notice an easier way. We reject fruitless hard work. Insolence means not accepting things on authority, refusing to be humble and degraded, refusing to grovel and show respect to superiors. We insist on dignity and freedom. To be lustful is to embrace all the pleasures we can while we live, to follow our desires and passions wherever they lead us. We run to the devil that tempts us to ask for more. To be vain is to love and admire ourselves, to relish our own brilliance and magic, to see in ourselves what is beautiful and attractive, to build and nurture it. To be vain is to accept the forbidden fruit from the serpent in the garden. To be vain is to want to know more. We proudly leave the narcotic fog of delusion behind us. To find out more about following Satan, please call or write us and one of our evangelists will be in touch.